One of the first steps in understanding any kind of music theory is understanding intervals. An interval is a distance between two notes. Not a physical distance, but a distance in pitch. Guitars (and pianos) make visualizing this distance easy; all we need to ask is how many frets (or how many keys) between notes. Below, you’ll find the thirteen basic interval types, each with alternative names, distance in half steps, and some examples in guitar tablature. If you’ve never seen these interval names before, you’re probably wondering how they were chosen and why you should bother learning them if they don’t make any sense. Why not just label them by half steps? 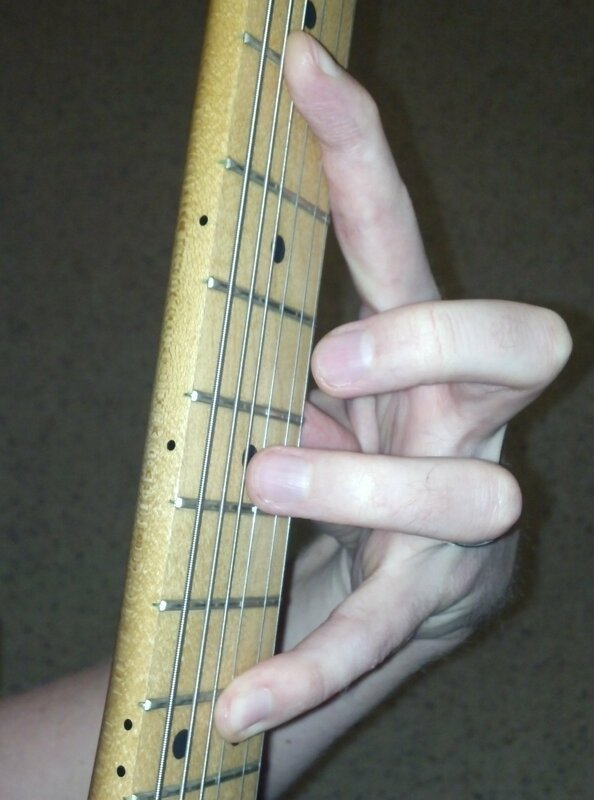 For another perspective and more comprehensive detail on this topic, check out Tom Kolb’s excellent instructional book, Music Theory for Guitarists. These interval names come from a long, imperfect history of Western music theory. They’re not guaranteed to be the “best” system, but they actually work so well that they’re universally used in English-speaking musical analysis. (Some types of music call for completely different systems of analysis, but if you’re working with a 12-note-per-octave instrument and not playing Schoenberg, this is your vocabulary.) In the end, it doesn’t matter what you call them, but it helps if lots of people agree for the sake of communicating. Stick with these, and you’re likely to be understood. The terminology is based on seven different kinds of notes in each octave. That comes from the major scale, which has seven notes before the root repeats at the octave. The minor scale also has seven notes. Most scales have seven notes. So as we look at all the intervals within a seven-note scale, we’ll get some kind of second (major or minor), some kind of third, some kind of fourth, some kind of fifth, and so on. Notice that some of the intervals are the same between the major and minor scales, and some are different. But they all match up with the number of the note in the scale. If you’re going from the root up to the sixth note in the scale, whether it’s major or minor, it will always be some kind of sixth interval. Finally, let’s look at the names for the quality of each interval. An interval can be perfect, major, minor, augmented, or diminished. The latter two are uncommon but sometimes appropriate; they only appear in the “Alternative Names” field for each interval above. Only unisons, fourths, fifths, and octaves can be perfect. Only seconds, thirds, sixths, and sevenths can be major or minor. When you expand a major or perfect interval by one half step, it becomes augmented. When you contract a major interval by one half step, it becomes minor. When you contract a minor or perfect interval by one half step, it becomes diminished. More to come in the future. Let me know if you have any questions!